Monday - Friday 11.00 am - 3.00 pm. Napa, cabbage, snow pea, broccoli, carrot, garlic, light soy sauce. long bean, long hot chili, onion, bell pepper, chili-garlic puree. ginger, onion, scallion, shitake, red bell pepper. Oriental eggplants with sweet peppers in spicy bean – basil sauce. thick rice noodle, egg, bean sprout, tofu, scallion, chopped peanut, tamarind sauce. 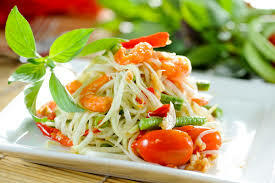 flat rice noodles, tomato, sweet basil, onion, bell pepper, chili garlic puree. flat rice noodles, egg, Chinese broccoli, dark soy sauce. egg, onion, scallion, tomato, light soy sauce. lettuce, carrot, tomato, broccoli, onion, beet root, cucumber,light peanut sauce.